Explore Hanoi with a private guide who tailors your 2.5-hour to your family’s interests. Visit a bustling local market and temples, ride in a cyclo to points of interests, and treat the kids to games and fun facts about Vietnam. 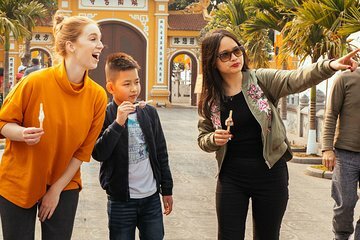 You can even sample ice cream at a venerable shop in the French Quarter on a tour that combines top attractions with lesser-known sights for a great introduction to Hanoi.